Need a holiday? 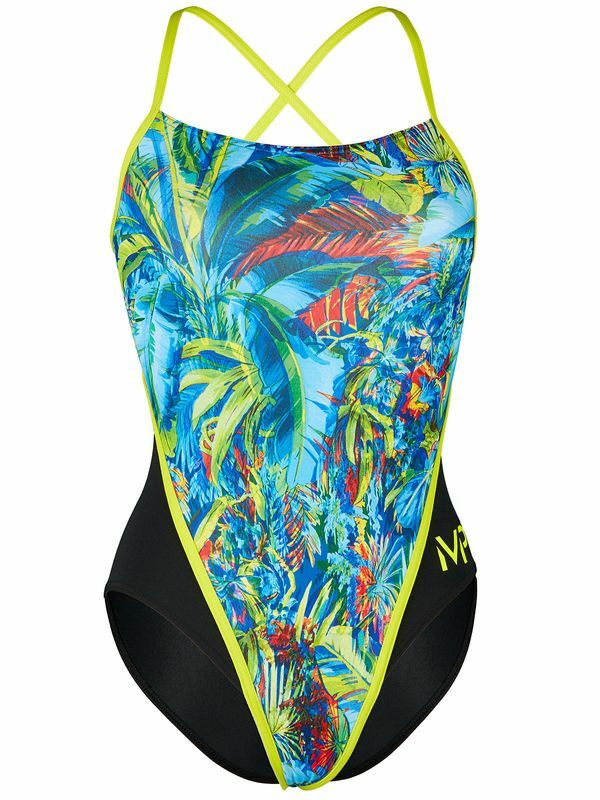 Transport yourself to a tropical oasis in the gorgeous Michael Phelps Oasis Racing Back Women’s One Piece. Inspired by paradise and created by Michael Phelps and Coach Bob Bowman, this vibrant look features bold splashes of ruby, cobalt, sapphire, golden yellow, and slate. With midnight black colour blocks at the hip and a canary yellow Michael Phelps logo, this tropical inspired look is sure to raise your temperature! Of course, like everything that the Michael Phelps brand makes, the Michael Phelps Oasis Racing Back Women’s One Piece was built for success. Flawlessly constructed for the needs of non-stop female swimmers, this is the one piece that you need to become number one.